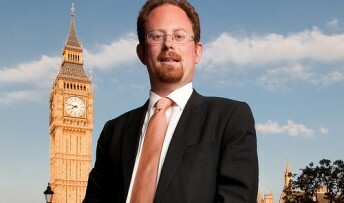 MP Julian Huppert has suggested Parliament could follow Cambridgeshire Liberal Democrats’ lead on an alternative budget to give the Labour opposition a chance to put forward their spending plans. He told Treasury Select Committee Chair, Andrew Tyrie it might be helpful in checking if the figures added up. Julian made the suggestion in the House of Commons yesterday (Wednesday, March 20) after Labour Leader, Ed Miliband attacked Chancellor George Osborne’s Budget plans. Mr Tyrie said he would be happy to look at an alternative budget. Later Julian said: “It is easy for Labour to stand up in opposition and claim they’d do things better and spend more money on everything; but with no incentive for them to say what they’d actually do, or to make the sums add up, no one can trust their claims. “We had 13 years of disastrous Labour spending and borrowing which left this country with a massive financial black hole and on the brink of disaster. By the end, for every four pounds they were spending, they were borrowing one. That couldn’t continue.